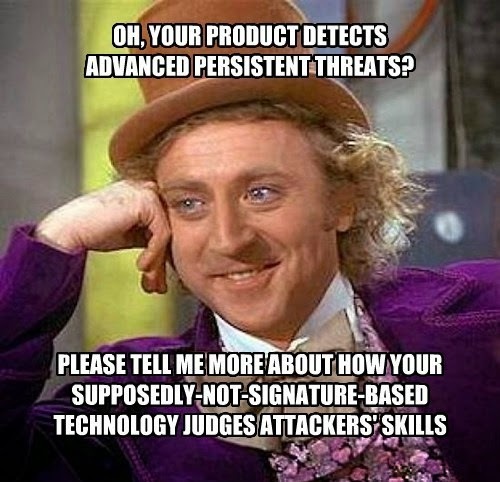 It's frustrating when a perfectly usable niche computer security term gets hyped so out of proportion that it stops meaning anything. The speculation that APTs possibly using less advanced (or even down right ordinary) techniques when that's all that's necessary is utterly pointless. If you can't out more mundane attackers then stop pretending you're fighting off the top of the attacker food chain.